The Nokia EOS smartphone is looming large, and the device is rumored to have a 41-megapixel PureView camera and heading for a July release. There’s a lot of curiosity about the EOS, and the latest intrigue surrounds the build of the phone and talk of whether it will have an aluminum or polycarbonate build. However, it now appears that aluminum models are in production. 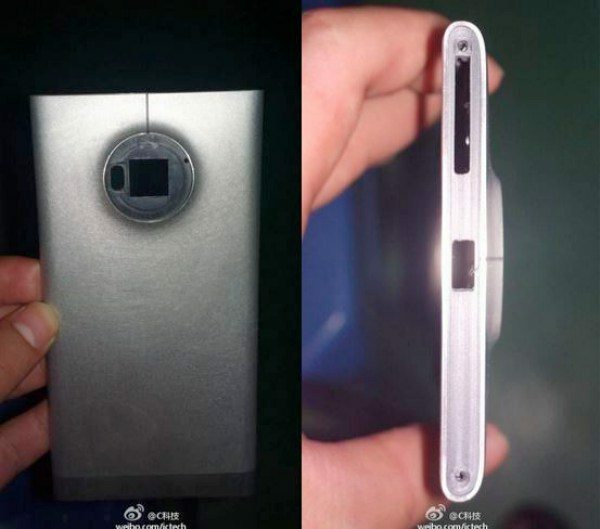 Earlier this month we showed readers a leaked image purporting to be of the Nokia EOS, and this showed a polycarbonate chassis. Following this we saw a claimed hands-on experience of the device with more leaked images, but it was difficult to see from these photos whether it was a polycarbonate or metal build. A couple of further leaks over the last few days though, may give us a little more insight. 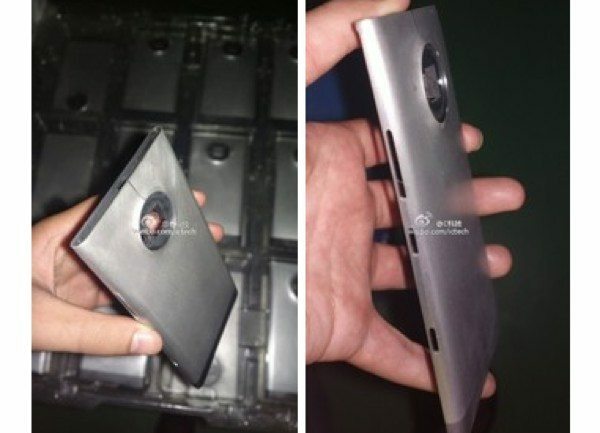 The first new leak (see following image) is described as an engineering prototype of the Nokia EOS, and it’s clear that this is one with an aluminum chassis. The image from Weibo was reported by WMPU and of course this doesn’t confirm that the finished article will have a metal casing, but it certainly makes it possible. Another interesting spot from the same leak is another image that showed the aluminum mold stamped with “41 MP” and “PureView Zeiss,” so if this is indeed the Nokia EOS it does confirm a cameraphone that will really make people sit up and take notice. It’s always possible that a polycarbonate version could also be in the works, but we think that many people would enjoy the more premium look and feel of an aluminum build. Nokia recently sent out invitations to a press event to be held in New York on July 11, and many are expecting to see the Nokia EOS officially unveiled at that event. As production seems to be underway we’re definitely hopeful that the EOS will release soon, and we’ll be following all of the news about this upcoming handset. Are you a potential customer for the Nokia EOS smartphone? If so, do you favor an aluminum or polycarbonate chassis for the device? Let us know with your comments. I’m a big Samsung fan but this looks so much better than Samsung’s enormous camera and phone mash up, great job Nokia. Yeah…I have my Nokia c1 01 model too. You know ,i always drop it by accident, but it really is a very sturdy type of handset. Well i guess this Nokia 1020 pure view EOS is very much more better and stronger. Nokia is improving a lot.